Gathering information is one of the most important steps in pentesting or hacking. It can often be more rewarding to do things on the target itself than to run scripts remotely. With a SQL injection, a hacker can compromise a server and locally upload and run the "Unix-Privesc-Check" script to further identify possible attack vectors. SQL (Structured Query Language) is a language that queries databases to retrieve and manipulate data. Database systems are often at the back of Web applications that typically store inventory or credentials. For example, if you are searching for an item to be purchased on a web site, the underlying query is sent to the database and the corresponding information is returned. The SQL injection occurs when an input field is improperly purged, allowing the attacker to enter malicious code in the query. The result is the ability to manipulate data, destroy data, or even issue operating system commands to the server. SQL injection is a whole area of ​​information security, and it can take years to cover everything. Fortunately, there is a lot of good information to get started. One of the simplest tests that we can use to test whether a parameter (in this case, an input field) is vulnerable to SQL injection is to give it a single quote. This terminates the string in an SQL statement. If the input is not filtered correctly, an error is often returned. If so, you can be pretty sure that the parameter for SQL injection is vulnerable. This tells us that the database system MySQL used is that this is most likely a susceptible injection point. But to make sure, because you can never be too sure, we can check this with the Sqlmap tool. To show you how this works, I've used DVWA, a deliberately vulnerable web application included in Metasploitable 2, as the target. If you want, you can use a different test destination. In this case, you can skip this step. My attack machine is Kali Linux, which you suppose you probably run. Before we begin, there are a few things that need to be done first to prepare for DVWA. First log in to DVWA with the default credentials "admin" and "password". 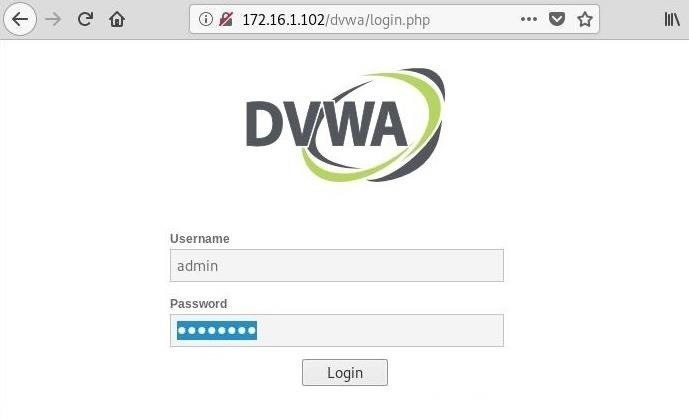 Next, navigate to "DVWA Security" and set the security level to "low" in the drop-down menu This will ensure that our attack works as intended. Now go to the "Setup" page create the database if it does not already exist, if it does, it will reset anyway, click on the "Create / Reset Database" button to do so. 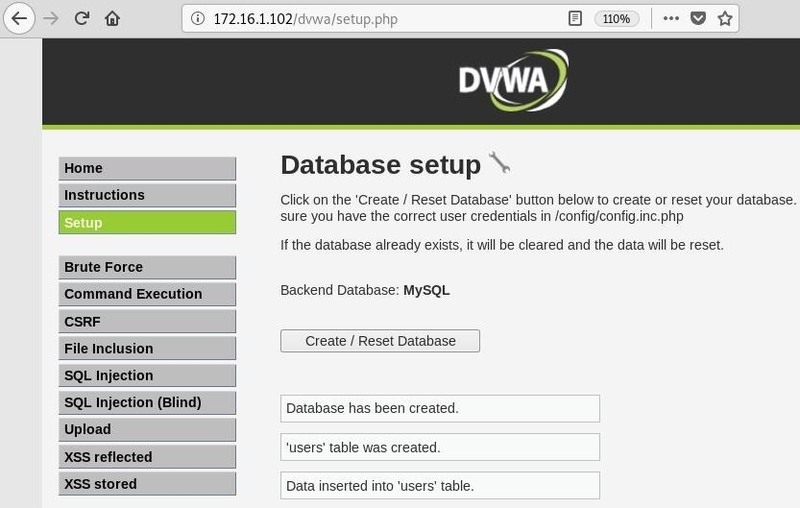 Next, navigate to the SQL Injection page, which has a function that queries the database when it calls the ben user ID number, and it returns some information. Now we should do it Ready for the first stages of our attack. Sqlmap is a tool that automates the process of SQL injection. It's open source and has a lot of features. To display the basic help menu in the terminal, use the -h flag. --data = DATA Data string to be sent by POST (eg "id = 1"). These options allow you to specify which parameters should be tested. [!] to see the full list of options associated with & # 39; -hh & # 39; be executed. Next, we need some cookie information. Go to the Developer Tools in the browser you are using. In Firefox and Chrome, you can right-click anywhere on the page and select Inspect Element or Inspect. In Firefox, navigate to the Network tab and reload the page. Click the GET request with the status code 200, and then scroll to the right under "Headers" to display the cookie information. <img src = "https://img.wonderhowto.com/img/75/89/63688240701844/0/compromise-web-server-upload-files-check-for-privilees-escalation-part-1. w1456.jpg "alt =" How to make a web server vulnerable and upload files to validate the rights calculation, Part 1  Now we can execute sqlmap with the flag -u on our URL and the parameter – Cookie is set to our cookie information, make sure you enclose both in quotes. 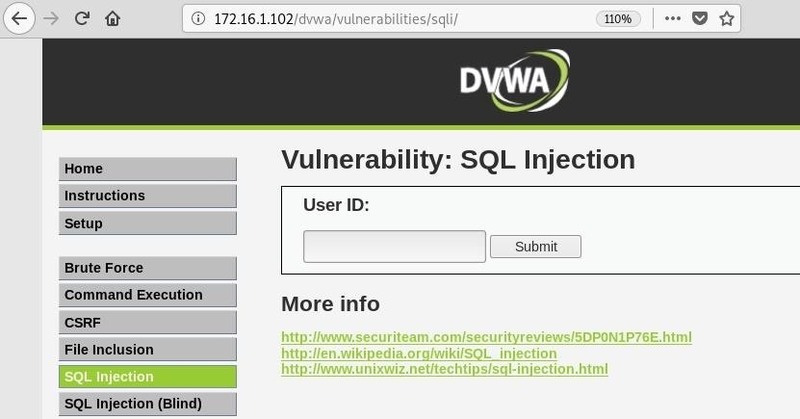 sqlmap -u "http://172.16.1.102/dvwa/vulnerabilities/sqli /? id = 1 & Submit = Submit "--cookie =" security = low; PHPSESSID = efc1b1545fd26e619025f0474f9 "
[10:45:21] [INFO]   The heuristic has discovered the page set "ascii". [10:45:21] [INFO]   The heuristic (basic) test shows that the GET parameter & # 39; id & # 39; injectable (possible DBMS: & # 39; MySQL & # 39;). [10:46:47] [INFO]   Retrieved data was stored in & # 39; text files & # 39; /root/.sqlmap/output/172.16.1.102 (19659024) is logged. We can also address the  - current users  and  - currently -db  options for getting the name of the current user and the current database, which could be useful. [10:50:01] [INFO]   The heuristic has discovered the page set "ascii". Sqlmap contains a useful function that can access the underlying  operation system on which the database is running and executes commands. While this may be helpful for other scenarios, we can use this feature to accomplish the goal of uploading a file to the server. To access the interactive prompt, simply use the  - os-shell  option when running sqlmap. Some questions are asked, in which case the default options will work. What do you want to use for a writable directory? This sets the writable directory where we can upload files. Since our target is running an Apache web server, / var / www / is the directory. After completing this process, we should see a new prompt that allows us to run normal operating system commands. But a few lines above we can see something interesting: A backdoor and file stager was successfully uploaded. Nice. Right here we want to be. So far, we've been studying the basics of SQL injection and how vulnerable points of injection can be identified. We then used sqlmap to check and collect some more information about the database. Finally, we could use this tool to set up a file stager on the target so we can upload files.